My assistant Alisa came into my office one morning and sat down without being prompted. “I’m going to have to come in late every Monday and Wednesday morning,” she declared, her eyes welling up. She said she needed to take her four-year-old Mark to therapy twice a week or else he would be transferred to a special needs school. Mark was diagnosed with autism 18 months ago. I know because I too have an autistic member in the family. Seth is my nephew and my parents’ first grandson. The Hebrew name I picked for him means “the appointed one” – and he is, in more ways than one. Seth has always been a special kid on whom everyone dotes. He loves toy trains and knows every detail about buses and sports cars. He enjoys cycling, playing video games and watching 80s movies on YouTube. He delights in all modes of public transport and gets restless when the driver skips a stop or takes a different route. The first case of autism was diagnosed in 1943 by American doctor Leo Kanner. The term came from the Greek word autos, which means “self” and refers to the patient’s retreat to his fantasies. 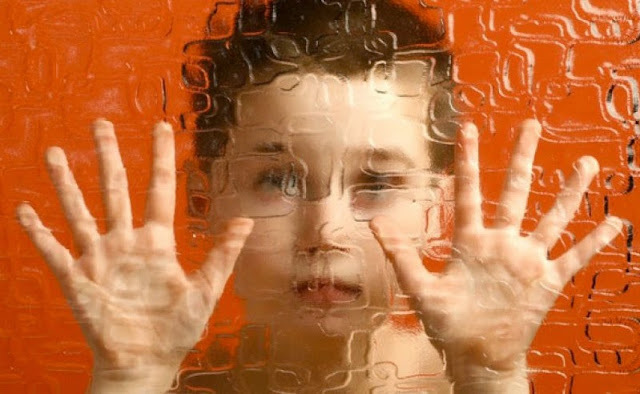 Today, the term autism spectrum disorder, or ASD, is used to describe the broad range of social and cognitive deficits exhibited by autistic individuals. 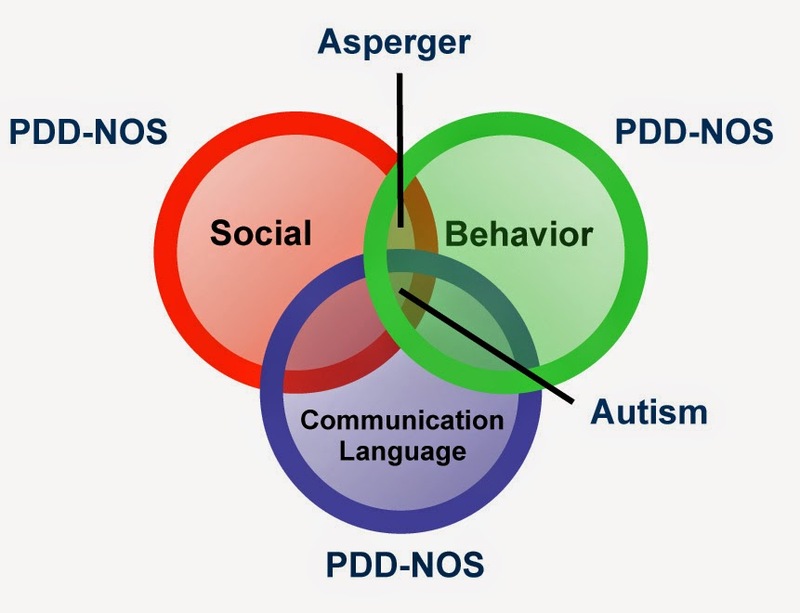 ASD encompasses anything from classic autistic disorder to Asperger Syndrome and Rett Syndrome, to the lesser known PDD-NOS (Pervasive Developmental Disorder, Not Otherwise Specified). The differences among these labels are not clear-cut and are of little help to parents. By and large, classic autistic individuals face significant delays in language development, and the majority of them have an IQ below 70. Those with Asperger or PDD-NOS, on the other hand, demonstrate fewer learning and verbal difficulties. What all ASD patients have in common is the tendency to withdraw from social interactions and engage in repetitive behaviors. My nephew falls squarely into the classic autism category. When you first meet Seth, you will find him no different from other young men his age, except that he is skinnier than average and tends to giggle to himself. Once he starts to speak, you will notice his repetitive speech pattern and prodigious use of rhetorical questions. 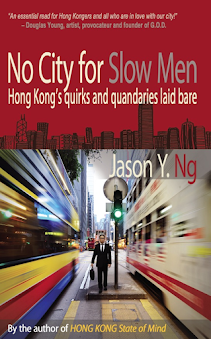 His conversations with you will comprise mainly repeated queries over car and movie trivia. He often parrots back other people’s phrases that he has memorized, a condition known as echolalia. Most of all, you will find Seth operating in his own world – an impenetrable universe of routines, rituals and stereotypy. Predictability gives him a sense of security and he values it more than any form of human interaction. And when this Linus van Pelt loses his blue blanket – such as when his daily programme is disrupted or personal objects are misplaced – he gets anxious, agitated, sometimes even aggressive. But Seth is hardly alone. After I shared my nephew’s story with Alisa, she began telling me the many ASD cases she knew. In our office alone, she counted, there are a half-dozen parents, uncles and aunts with an autistic child. 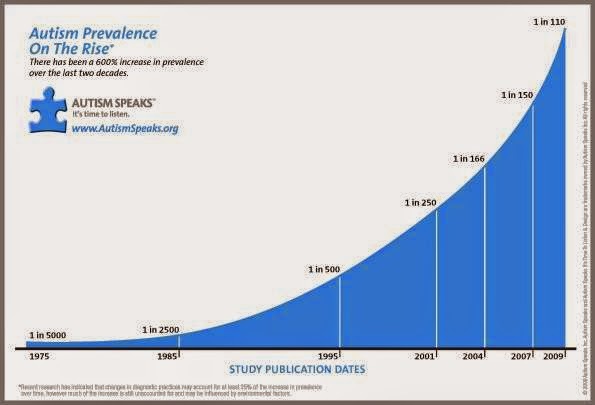 Our anecdotal sharing corroborates with the worldwide figures suggesting that autism has exploded from an obscure neuro-developmental disorder in the 1940s to one of the fastest-growing global epidemics today. According to the U.S. Centers for Disease Control, the number of diagnosed cases in America has skyrocketed from one in every 5,000 children in 1975 to one in 68 in 2014. The 74-fold increase in just four decades begs the question of what causes autism in the first place. Research findings are at best inconclusive, and the plethora of theories run the gamut of genetics, air pollution and nutritional deficiencies of the birth mother as a result of today’s diet of bleached flour and refined sugar and the widespread use of chemical addictives in processed food. Adding to the debate are folk beliefs such as pregnancy mishaps and the so-called “refrigerator mother theory” that pins the blame on an emotionally distant mother. More credibly, hair mineral analyses have revealed that all ASD children, without exception, have excessive amounts of toxic metals in the brain. Researchers believe that toxins like mercury and cadmium cause disruptions in the brain and the nervous system, and that autistic individuals respond by withdrawing socially to reduce external stimulation and manage their internal chaos. This “toxic metals theory” points the finger directly at the use of modern vaccines – most notably the MMR combination shot – which contain a mercury-based preservative called thimerosal. 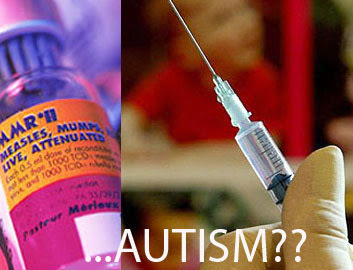 The global roll-out of these vaccines in the 1970s coincided with the autism outbreak in the decades since. The fact that the medical community, which is influenced by powerful pharmaceutical companies, has repeatedly disputed any link between ASD and vaccinations has done little to quell the controversy, and both sides of the debate have taken on a religious fervor. In California, as many as 40% of parents now seek a personal beliefs exemption to the state’s vaccination requirements, a trend that is believed to be responsible for the recent measles outbreak in 17 states. Equally confounding for families is the efficacy of treatment. Pediatricians recommend early intervention by behavioral therapy, like the type Alisa’s son is getting twice a week. Studies have shown that treatment is most effective if administrated before the age of six. This race against time, combined with the deluge of unsolicited advice from relatives and friends to do this and try that, puts tremendous pressure on already distraught parents. I, too, am guilty of that, holding on to the faint hope that Seth could be a math genius or piano savant waiting to be discovered. I have to stop myself from questioning my brother why he hasn’t taken his son to piano lessons. Seth turned 21 last week. 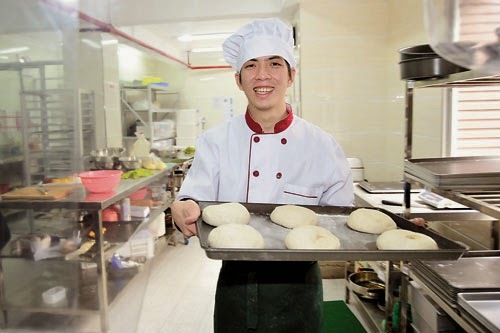 He grew out of the local education system two years ago and is now an apprentice at a local workshop learning basic job skills alongside dozens other young men and women with special needs. Relative to his colleagues with Down Syndrome or other mental disabilities, Seth is more able, or “high-functioning” in medical parlance. 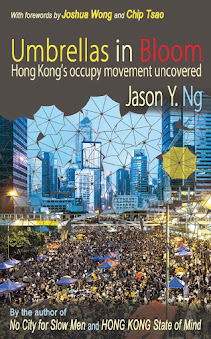 But the chronic shortage of ASD resources in Hong Kong means that people of widely disparate verbal and physical skills are often lumped into a single facility. That puts our city years, even decades, behind other developed countries like Canada, the U.S. and even Taiwan and Singapore when to comes to supporting the autistic community. That’s why Seth’s parents have set up a trust fund for their son, enough to hire a full-time live-in caretaker to look after him after they pass. It is a common practice among parents with autistic children, because public resources are scarce and independent living remains an elusive dream. We have come to terms that Seth’s body will continue to grow but his mind won’t. Neither will people’s patience for a man who behaves like Dustin Hoffman’s character in Rain Man, minus the card counting ability. It still breaks my heart when I see my grown-up nephew get shooed away by store owners or teased by neighborhood children who are much younger than him. Each time I take Seth for a ride in my car, he will put on his seat belt and rock his body back and forth in unrestrained excitement. I will feel a pang of guilt for not spending nearly enough time with him. I will wonder what it’s like to see our world in those big deep eyes, and what it’s like to live in his faraway world where words aren’t so important, thinking is visual, and the mundane offers unspeakable joy. It is a world we can't enter and won't understand, a world where Calvin lives happily thereafter with Hobbes and Nobita with Doraemon. 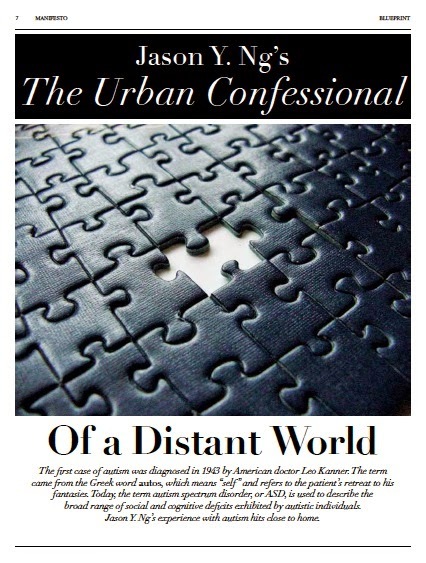 I will also wonder whether he and the rest of us are so different after all, for who among us isn't struggling daily with our real and imagined problems in real and imagined ways, all the while hoping for a little understanding from the outside world?